Can anyone recommend a guide to processing RAW image files? Preferably one that can be followed using Linux-compatible software. First proper day in Costa Rica: visited Arenal volcano (at least, as close as they&apos;ll let you get) then some thermal baths to soak out the pains from our journey here. The Matrix: You die in the Matrix, you die in real life. Nightmare on Elm Street: You die in a dream, you die in real life. Theory: Nightmare on Elm Street is set in the same universe as The Matrix. Freddy Krueger is a rogue virus that&apos;s exploiting a bug in an asleep/awake if-statement in the code. I&apos;ve seen people specifically asking for cis allies to fill this out, to help counterbalance the likely set of responses from those against the changes. Long-time lurker on the shop: not so good at an #introduction so instead I'll answer the question "What book do you wish you'd written?" 'Ice' by Anna Kavan, a deeply strange work that keeps pulling me back with the sheer power of its atmosphere. It kind of looks like SF, but it's actually more of a dark recurring dream. Its opening is one of the most addressing I've read: one line, "Reality had always been something of an unknown quantity to me", practically gives me shivers. On the train home along the Dawlish coastal railway line, which is legitimately one of the most beautiful this country has to offer. My potato-quality phone camera doesn&apos;t begin to do it justice, but here&apos;s a pic anyway. It&apos;s been sweltering all weekend and I&apos;ve had nothing to do but spend time with my SO for the first time in weeks, reading Jeff Noon, with some ice-cold drinks to hand. All in all, a pretty decent approximation of bliss. I&apos;m also game for &apos;Alice In Carpetland&apos; if you are. Message me if you&apos;re a publisher and want to pick up a downbeat kid&apos;s book sequel called &apos;The Decline and Fall of the Faraway Tree&apos;. I&apos;ve not got any more than the title so far, but that&apos;s been bouncing round in my head all day so I&apos;m pretty sure it&apos;s a goer. Hey everyone! As you might know already, a.weirder.earth suffered a catastrophic hardware failure, taking us down for about 2 weeks and forcing us to move to a completely new instance. A lot of us (myself included) didn&apos;t back up our follows either. So we&apos;re very much on square one. - Contribute to #ff (follow friday) tomorrow. Everyone could do with the follow suggestions. - Check your follows. 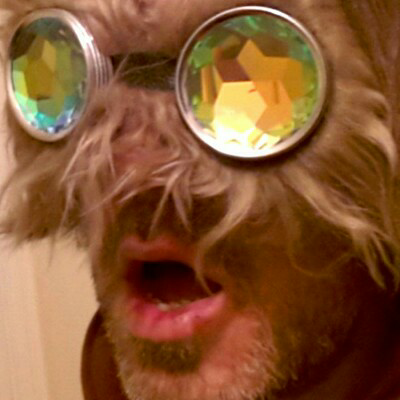 If anyone is from &apos;a.weirder.earth&apos;, refollow them on &apos;weirder.earth&apos;. I was @alx@a.weirder.earth until it collapsed into a super-dense weird hole, so now I&apos;m back on the slightly-snappier weirder.earth! I&apos;m a #writer not-by-trade and I posted more than I probably should have about last year&apos;s #nanowrimo. I want to hear your favourite #weirdmusic and I&apos;m sure to be sharing mine. I don&apos;t usually start so many sentences with &apos;I&apos;. Pigs are the best animal.